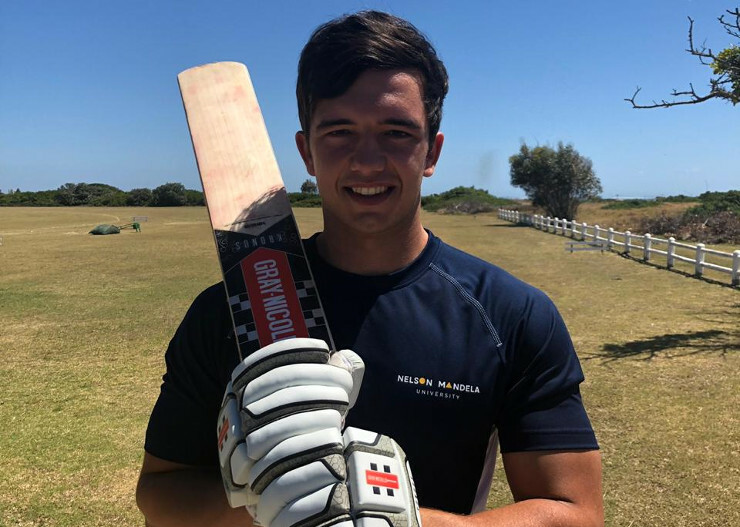 After a narrow loss in the final last year, the Madibaz A cricket team are keen to make amends in the University Sport South Africa tournament in the Western Cape next week. The annual competition takes place in Stellenbosch from December 3 to 7 and Nelson Mandela University will be fielding two teams, with the A side in pool A (the top eight teams) and the B side in pool B.
Madibaz A lost by six runs to Pretoria University in last year’s final and captain David Masterson said they had a point to prove this time. “He is one of four semi-pro cricketers in the squad and I am sure they will be challenging themselves to take responsibility and perform. The Madibaz B team, consisting of predominantly players from the George campus, will have a number of new faces in their ranks and want to show an improvement on their seventh-place finish in 2017. “This time we are aiming for the semifinals,” said George campus sport manager Hugo Loubser.